Technology pioneers Bill Gates and Steve Jobs will serve as the inspiration for a satirical musical headed to Broadway this spring called Nerds. Fittingly, the musical will incorporate innovations not seen in other productions including holograms and projection mapping. One of the show's producers, Carl Levin, told The New York Times that there will even be a mobile app that'll allow audience members to guide the plot as it plays out which will make it slightly different each time. If people decide they don't want to participate, the musical will carry on according to script. The Times says the show has been presented in various stages of development for more than a decade. 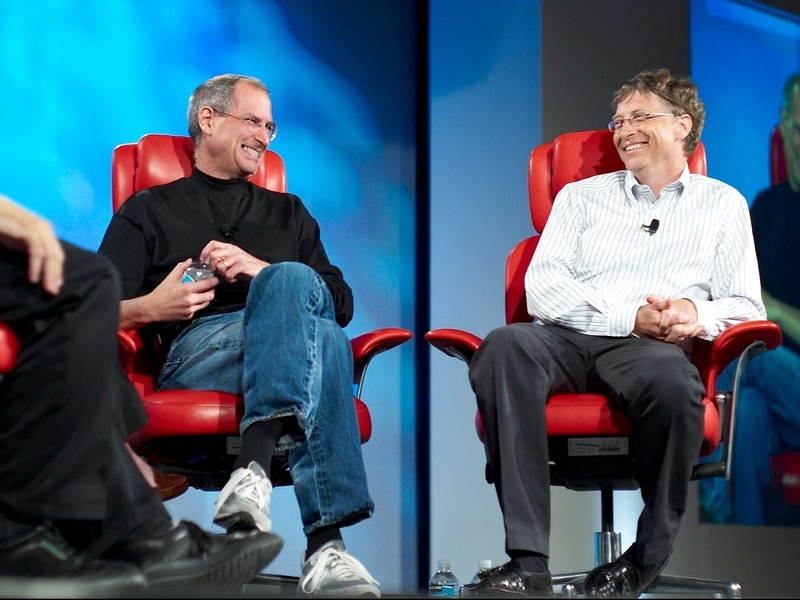 Its subject matter will focus on the longstanding rivalry between Gates and Jobs, we're told. Performances will begin on March 31 at the Longacre Theater with plans to open the show on April 21. The show's cast hasn't yet been announced although a workshop production last spring featured Wesley Taylor as Bill Gates and Charlie Pollock as Steve Jobs. Nerds will be directed by Casey Hushion with choreography by Joshua Bergasse and music from Hal Goldberg. Those interested in checking out Nerds can buy tickets by clicking here.